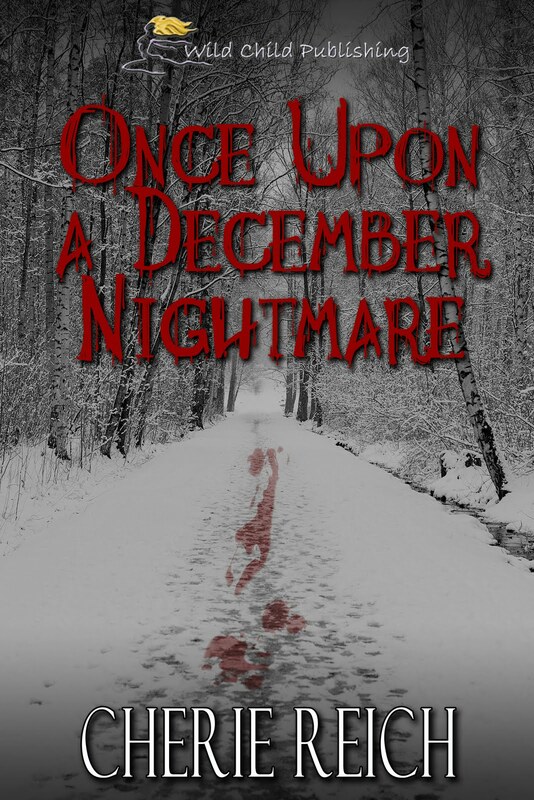 Raven and the Writing Desk: Horror Book Giveaway! 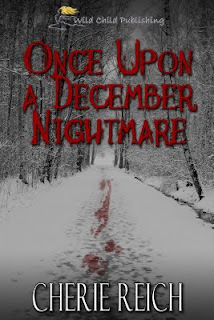 Since our theme this month is horror, I've decided to give away an e-book copy of my horror story Once Upon a December Nightmare, which was published by Wild Child Publishing in August 2010. This story was inspired by a true event that happened to my friend and me. They were only going out to dinner and a movie. But when their plans go astray, friends Cassie, Mary, Denise, and James decide to take a detour down a lonely mountain road. A felled tree blocks their passage and foreces them to turn around in a clearing containing a disturbing arrangement of four deer carcasses. But when their truck breaks down and their cell phones don't work, they must brave the cold December air, nightfall, and a long hike. Yet this is the least of their troubles. Tension runs high between the four young friends...and they are not alone. Each step brings them closer to safety, but will they make it to the main road alive? So, now you're wondering what you need to do to win a copy. It's simple. In the comments section, tell me what your favorite horror book is (or movie). I'll announce the winner on October 30th. Good luck! I already bought this, but good luck! It's a great read and someone will be very lucky indeed! I already own your book, so some lucky person besides me can win it! Woohoo! If nobody else comments, Eric wins! The windows in my house fogged when I read that book. True statement. It didn't just scare me, it scared my house. Thanks for mentioning your favorite horror books/movies! I guess I should have mentioned mine. Horror Movies: SIGNS; HALLOWEEN; and I must admit I enjoyed MY BLOODY VALENTINE. It was fun with the 3D.